The importance of high quality luggage can never be underestimated, particularly if you are heading off on a luxury China holiday. While we will endeavour to take care of you and your belongings throughout your trip, there’s always an added sense of security from sturdy and secure baggage. If you’re in the market for a suitcase or piece of hand luggage, here’s our look at some of the best names on the market today. Undoubtedly one of the biggest names in luggage industry, Samsonite are renowned for creating some of the finest products on the market – all of which combine style and performance to help keep your belongings safe. For the complete recommendation, they pointed towards the Spark Spinner as the perfect luggage to take on-board. Measuring at 35cm x 20cm x 55cm, it’s got more than enough space to fit all those products that you can’t live without during your flight. It’s also got a locking device fitted on the side so you never have to worry about leaving that fiddly padlock at home. Also of great benefit is the fact that the size complies with the proposed changes by the International Air Transport Association and, while these have since been scrapped, it’s likely that a similar proposal could emerge in years to come. 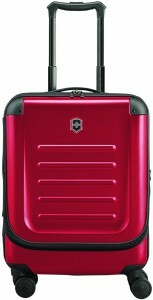 Another trusted label of the luggage world is Victorinox and, while they are originally renowned for their famous multi-tool knifes, their range of luggage is also held in a similar regard. Each bag in the Architecture Urban collection is crafted using environmentally friendly Nüwa fabric and a traditional Napa-leather trim. The Nüwa fabric is woven with an eco-friendly process that uses 70% recycled water and, overall, 30% less water and heat than industry standards. The Dufour bag has been put forward for the prestigious Red Dot Design Awards. While only entering the global marketplace officially in 2006, Briggs and Riley have quickly developed a reputation for producing bags that are built to last – a statement backed up by the fact that they offer a lifetime guarantee on all their products. Innovators in the name of luggage, they are renowned for their patented Outsider design, which removes the trolley bars from inside the bag to offer a flat packing area, offering more capacity and wrinkle-free clothing as a result. Their most recent breakthrough is the CX expansion compression system, allowing bags to expand up to 33 per cent and then compress down to their original size. When we contacted Briggs and Riley, it was the bags that feature the CX Expansion system that they highly recommended, particularly if people want to really make the most of their luggage allowance ahead of their all-inclusive tour of China. 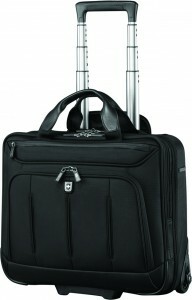 Another product that they suggested was the International Torq Carry-On Spinner, pictured above. 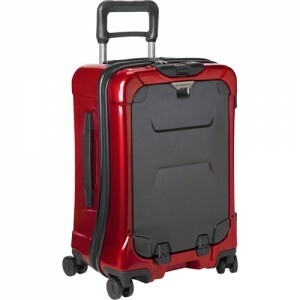 This hard shell suitcase also has a protective front pocket, which can be used to store anything from laptops, tablets or other electronics safe and secure. Alternatively it’s a good way to get quick access to a sweater if you’re cold during your flight. Another stylish brand in luggage is Delsey, a French brand that has looked to appease the world’s jet-setting community for decades. While originally specialising in making leather cases for cameras and photographic equipment, they turned their attention to creating luggage in 1970 and they’ve never looked back since. Of all their products, we recommend the helium classic as the perfect choice for on-board luggage. As well as being slim and lightweight, there’s plenty of room inside and it’s also got a built-in combination lock on the side to offer complete peace of mind. Having produced reliable luggage in all shapes and sizes for over a century, Antler know exactly what is needed to create the bag you need. Continually innovating throughout its history, it’s a company that has aimed to stay ahead of the curve by offering bags that suit the needs of travellers. From specially designed cabin luggage, to soft and hard shell suitcases, they are sure to have the perfect product to suit your needs. Of their products, we recommend those from the Aire and Juno ranges because of their lightweight construction. After all, if you have a light bag it means you have more to pack before meeting your allowance. On the subject of weight, IT Luggage boast the lightest suitcase in the world and weigh as little as 1.4kg. While it may be light enough to pick up with one hand, the aircraft grade materials, which are used in construction, don’t compromise on strength and quality and it’s for this reason perhaps that five million units have been sold worldwide. The World’s Lightest range is available in all manner of sizes, could there be a better way of staying within your allowance? Another product they offer is the frameless suitcase, one which combines solid protection with an extra-large packing area. The outer shell is far lighter than traditional ABS, and will always retain its shape. 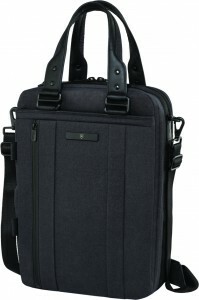 IT Luggage products are available from all leading luggage outlets. 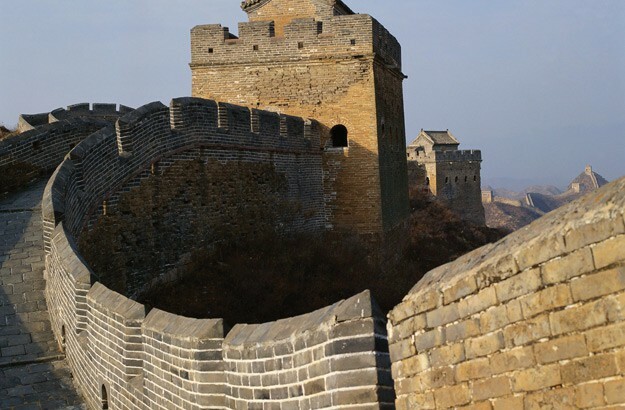 Book a tour to China with the UK’s leading China Experts, Wendy Wu Tours. Our award winning escorted, fully inclusive China tours visit all the major sights of China for an unforgettable holiday.